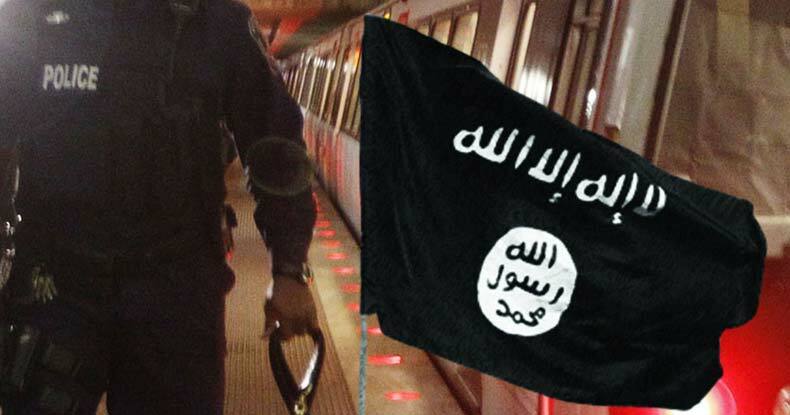 A Metro Transit police officer from the Washington D.C. area has been arrested and charged with attempting to provide material support to the Daesh. Officer Nicholas Young, according to an indictment filed in federal court, tried to help Daesh (ISIS, ISIL, the so-called Islamic State) operatives find methods to communicate covertly, and previously traveled to Libya to assist in deposing leader Muammar Gaddafi. Young allegedly purchased “stored value” gift cards for a mobile messaging service and other ‘technology-related’ items to send to Daesh operatives to assist them in evading detection by authorities. But “no pending threat to the D.C. transportation system” exists, unnamed sources told ABC News. Their investigation into Young began after an acquaintance of his, Zachary Chesser, was arrested and pled guilty to providing material support to a designated foreign terrorist organization. The Justice Department alleges Young met with both an undercover officer and Amine El Khalifi, who was previously arrested for a plot to blow up the U.S. Capitol building in 2012. At least 20 times during 2014, Young met with an FBI informant posing as a military reserve who claimed to have successfully joined the Islamic State. Young allegedly emailed the informant the following year requesting information about how to provide monetary support to Daesh members. According to the indictment filed in Alexandria, Virginia — a suburb directly outside D.C. — an undercover FBI agent convinced Young to send him codes for 22 mobile messaging cards, worth $245, in order to facilitate covert communication among the group’s members. “Respond to verify receipt … may not answer depending on when as this device will be destroyed after all to prevent the data from being possibly seen on this end in the case of something unfortunate,” Young allegedly wrote to the agent last week. Young once traveled to Libya to assist rebels in overthrowing Gaddafi, bringing with him a kevlar helmet and other military-style items, according to the DOJ, though he was unsuccessful in a second attempt to travel to the country. The DOJ alleges Young had repeated interactions with undercover FBI agents, in which recordings show his interest in terrorism-related activities. Young, a resident of Fairfax, Virginia, worked for the Metro Transit Police Department for 12 years prior to Wednesday morning’s arrest. It was unclear in reports whether Young’s occupation had anything to do with his alleged illegal activities. The former officer is expected to appear in court today, and if ultimately convicted of providing material support to the Islamic State, would face up to 20 years in prison.